It’s New Year’s Eve, which means a lot of people are gearing up to live a healthier life next year for their New Year’s Resolutions. That means many people will be watching what they eat and getting active…and all of those extra trips to the gym can mean sore muscles after a workout. 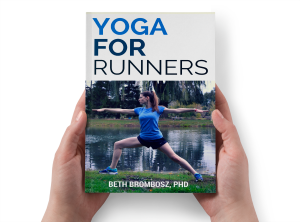 I actually picked up running in 2011 as a New Year’s resolution or goal, and I can remember dealing with very sore legs for about the first month that I followed my initial training plan. And, as I’ve ramped up my running mileage or tried different fitness classes over the years, you can bet I’ve coped with my fair share of sore muscles. 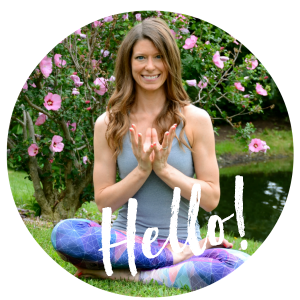 So, I wanted to share some ways that you can relieve sore muscles naturally, whether your New Year’s resolution is leaving you sore, or if you’re simply trying a new activity or ramping up the intensity of something you’re already doing. Note: I’m talking about general muscle soreness here, the type of soreness you’d expect from starting a new activity. If you’re really in a lot of pain, definitely go talk to a medical professional to make sure something more serious isn’t going on. Sometimes, our muscles get sore because they’re tight. Have you ever finally gotten to stand up after sitting for a long time, like if you’re really engrossed in a project at work, or if you’ve finally made it to your destination after a long car ride? Do you remember your legs and hips feeling sore? In many cases, you feel sore because your muscles tightened as you sat. And, if you tried some gentle stretching after feeling that soreness, you know what relief a little gentle stretching can bring. I think gentle stretching is a perfect way to relieve sore muscles naturally. Just find a stretch that feels comfortable—no need to push yourself too far. Spending just a few minutes each day stretching your muscles can really help you feel better. Need help figuring out how to get started with a gentle stretching routine? Check out my posts on Gentle Morning Yoga, Gentle Relaxing Bedtime Yoga Sequence, and Gentle Yoga Sequence for Upper Back and Shoulders to get started. New #fitness routine leave you feeling sore? Here are 5 ways to relieve muscle soreness naturally! Massage can also help you relieve sore muscles naturally. If getting massaged by a professional isn’t in your budget (or you don’t have time in your schedule), grab a foam roller or other self-massage device. Self-massage helps loosen painful adhesions that form in your muscles after hard workouts. (You’ll often feel these as knots.) And, it helps increase blood flow to sore muscles, which helps relieve soreness. Many big box stores are carrying foam rollers these days, making self-massage easier than ever to implement. Arnica has been used for years as a natural treatment for sore muscles. Arnica montana is actually a plant that’s been used as a homeopathic remedy for pain for a very long time. Some studies looking at marathon runners and downhill runners have shown evidence that arnica can help treat muscle soreness, but other studies found no statistical difference between arnica and a placebo. With that said, I personally have definitely experienced sore muscle relief using the NOW Solutions Arnica Warming Relief Massage Oil. The warming qualities of the massage oil really help my sore muscles feel better. (And, as an added bonus, it leaves my skin super moisturized.) NOW Solutions also makes a Arnica Soothe Massage Gel that you should try if you’re not a fan of massage oils. Applying magnesium to your skin or taking a bath with magnesium salts is another popular way to relieve sore muscles naturally. Your body uses magnesium in many ways, including in your muscles. It helps your muscles relax, which is why many people have turned to magnesium supplements to help combat muscle cramps for years. (Scientific studies looking at the efficacy of magnesium as a treatment for muscle cramps are mixed.) If you have very sensitive skin, you might want to skip this one—some people find their skin gets really itchy after they apply magnesium topically. My favorites? Magnesium flakes from NOW Solutions if I’m going to take a warm bath to help relax my sore muscles, or the NOW Solutions magnesium topical spray if I’m trying to relieve my sore muscles throughout the day. Have you ever gone to work out a day or two after a particularly hard workout and you’re still feeling sore? Almost magically, your sore muscles start to feel better as you get moving and your body warms up. Sometimes, some gentle movement is just what your muscles need to feel better. And, a gentle workout like some slow yoga or going on a walk is a great way to relieve sore muscles naturally. Moving helps get the blood flowing through your muscles, which can actually help you recover from your workouts. It brings fresh oxygen to your muscles, and the extra blood flow helps remove any wastes from muscle cells that were broken down during your hard workout. So, if you’re really struggling with sore muscles, go for a walk around the block. I bet you’ll feel better when you’re done.